Off-season crowds are light in this subtropical slice of America, but the culinary charms are always heaped on deep. Lowcountry, roughly speaking, is the stretch of coastal islands and backwater swamps that run from Charleston, South Carolina, south to Savannah, just across the Georgia border. These historic cities are overflowing with enchantment, but the region is perhaps best known for the white sands of Hilton Head Island and the throngs of tourists who create Los Angeles–level traffic jams from spring break to Labor Day weekend. But here in the coastal Deep South, T-shirt weather runs year-round. It’s not quite warm enough for swimming in winter, but it’s perfect for beachcombing, with miles and miles of empty sand to explore. It’s also the ideal season to discover Lowcountry culture and cuisine. Winding through the back roads, you’re almost guaranteed to stumble across a shacky café, where you can experience an authentic Lowcountry “boil,” a spicy, slow-simmered stew of shrimp, crab, sausage, potatoes and corn. It’s a place to encounter farms that you won’t find anywhere else — the region is home to a renaissance in heirloom rice — and the meandering rivers and coastal wetlands are a birder’s paradise that are easily accessed with a rented kayak. Massive, low-hung oak trees, dripping with Spanish moss, lend an almost mystical vibe to the landscape. Perhaps the most magical aspect of Lowcountry are the locals. This is the ancestral home of the Gullah, descendants of slaves who have maintained their traditional dialect, spiritual practices and foodways, even as gaudy tourist development has spread like rhizomes all around them. Here and there, you’ll find Gullah restaurants offering their unique take on barbecue and gumbo. One must-stop is The Gullah Grub Restaurant on St. Helena Island (once featured on Anthony Bourdain’s No Reservations), which sources organic heirloom rice from a farm run by chef Bill Green and his family. 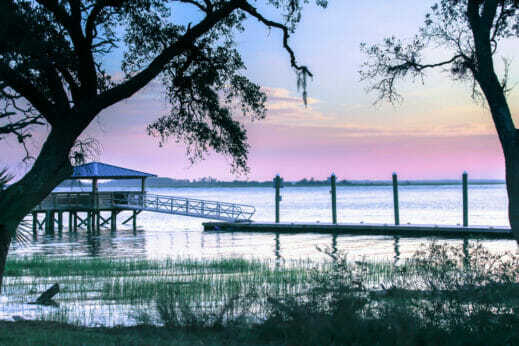 Just a few miles inland from Hilton Head, Bluffton is the artsy, foodie place in Lowcountry. Long before it got hip, the town revolved around the local oyster industry, which continues to thrive. Harvesting wild oysters is no longer sustainable, but local outfits like the Bluffton Oyster Company and May River Oyster Company practice an eco-friendly brand of oyster farming. 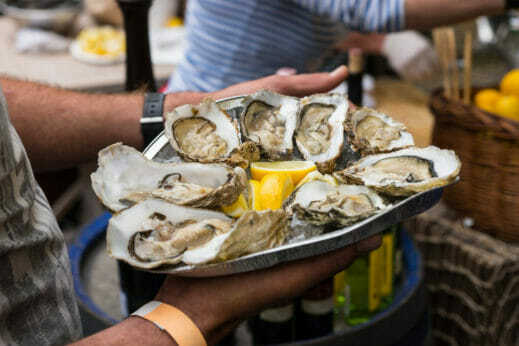 Oysters, shucked and served on the half-shell minutes after harvesting, are in season in the off-season, from September to April. Tourist development has been slow to arrive on Daufuskie Island, which has remained an outpost of traditional Gullah culture, because it lacks road access from the mainland. But that’s starting to change as resorts sweep in and ferry service from Hilton Head, Bluffton and Savannah makes the island readily accessible. There is a winery, rum distillery and cooperatively managed organic farm, but one of Daufuskie Island’s best-known attractions is a woman named Sallie Anne Robinson, a sixth-generation Gullah resident, celebrity chef and cookbook author. She offers twice-weekly tours of her homeland, enlightening visitors to the vibrant interplay of land, food and culture that she grew up with.